Find out how much are your roof takes up. You may want to hire a professional roofing company for this. Once you know the area, you can calculate the price for any shingle you’ve got your eyes on. Figure out warranties. The guaranteed life of the shingles is very important because you wouldn’t want to dump so much money into something that only lasts a couple years. If you see a good warranty on good shingles from a well known company, then you should strongly consider making that choice to save you the most money and have the most effective shingles. Choose the type of shingle you’re most interested in. 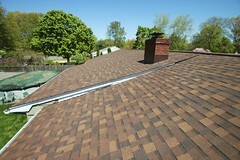 There’re many different types such as the common asphalt, laminate, wood, clay, and then special designer shingles. Asphalt is one of the cheapest and longest lasting so, if you’re on a tight budget, those are recommended. Find what color suits your Holmdel home best. 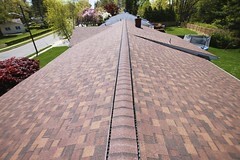 Different color shingles compliment different color houses. 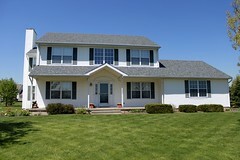 Biondo Contracting is a Holmdel roofing company that serves all over Central NJ in towns such as Manalapan Township, Long Branch, Spring Lake, Ocean Township, Aberdeen, Middletown, Neptune, Avon-By-The-Sea, Sea bright, matawan, Holmdel, spring lake heights, red bank, West Long Branch, Ocean, Shrewsbury, Eatontown, and many more. 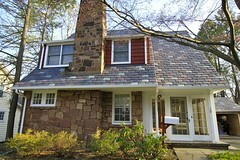 Call today for a Holmdel free roofing estimate.